Comfort food is what we all want at the end of a hard day. At least for me it is. This dish will give you warm fuzzies inside. 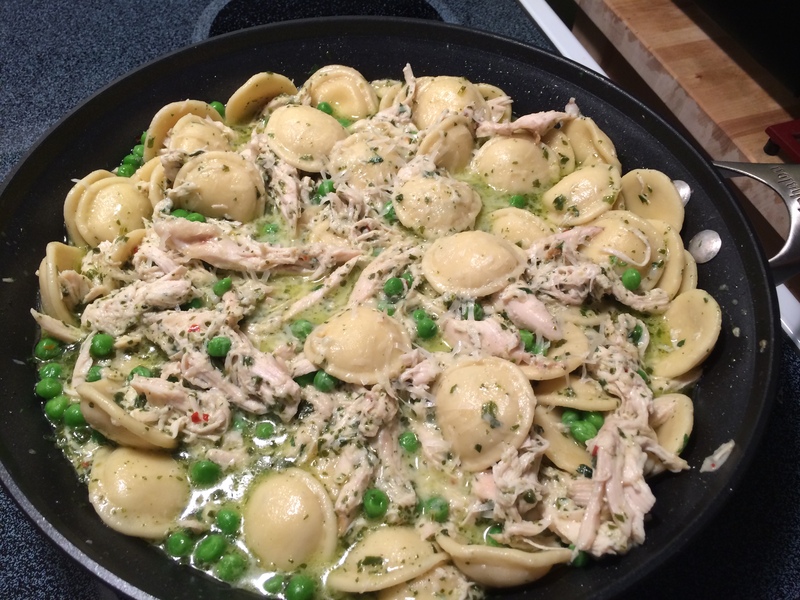 Simple, delicious and easy to make. 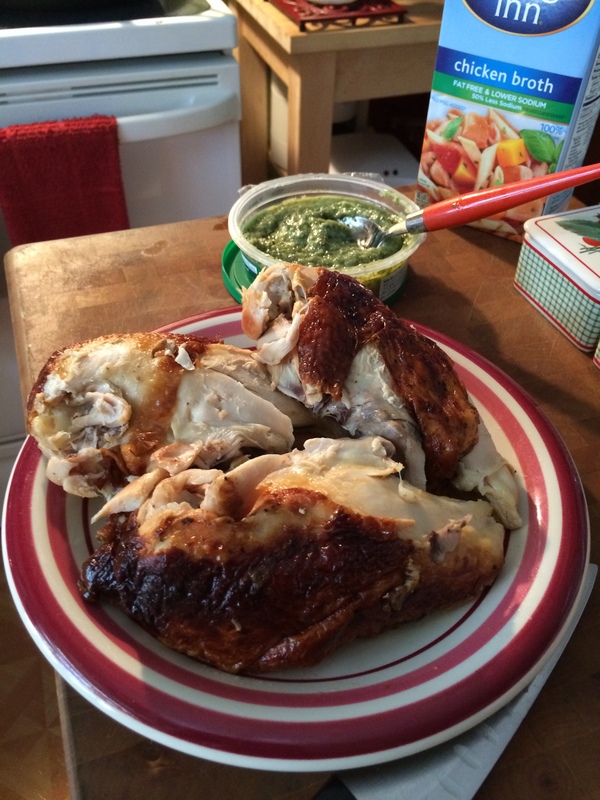 Now if you know anything about me, it’s that I always roast my chicken for any recipes that call for chicken. It’s full proof. Just take your chicken breasts, bone in, and with skins on and place them on a baking sheet with olive oil and a good sprinkling of Kosher salt and pepper. Bake them at 350 degrees for 40 minutes and let them rest for another 10 minutes, covered under foil. 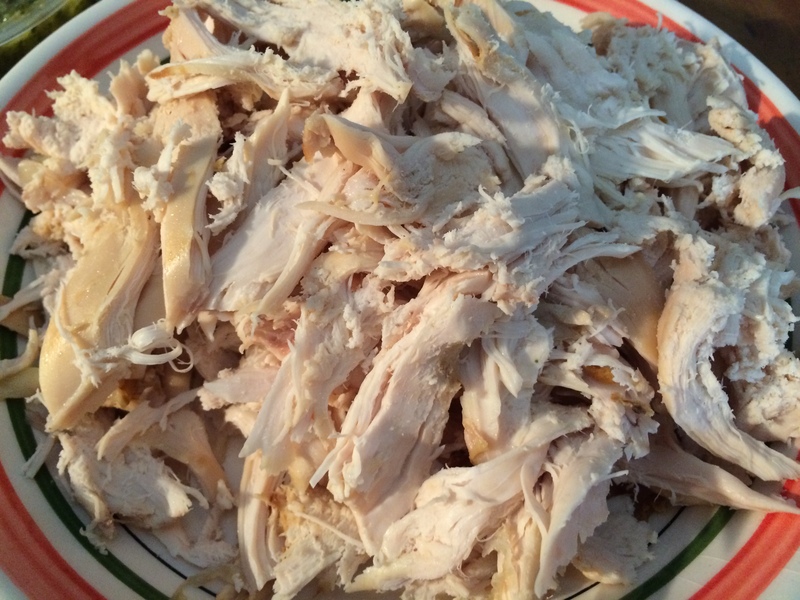 I have to be honest, when I’m in a hurry, rotisserie chicken works in a pinch. Also when you don’t have a lot of time there are some great choices in really good basil pesto at the grocery too. 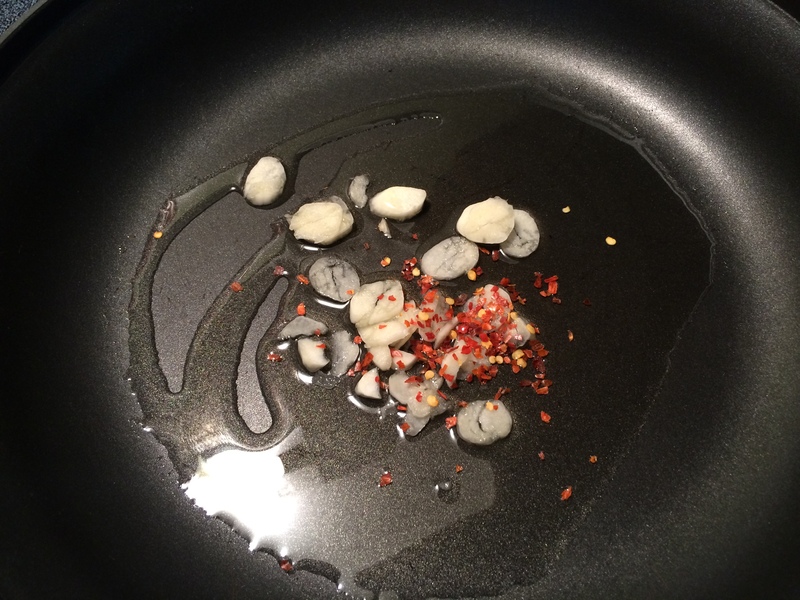 I start by adding 2 tablespoons of olive oil, 1 teaspoon of crushed red pepper flakes and 2 cloves of sliced garlic to a large saute pan, letting the pepper flakes and garlic infuse into the oil for a little heat. 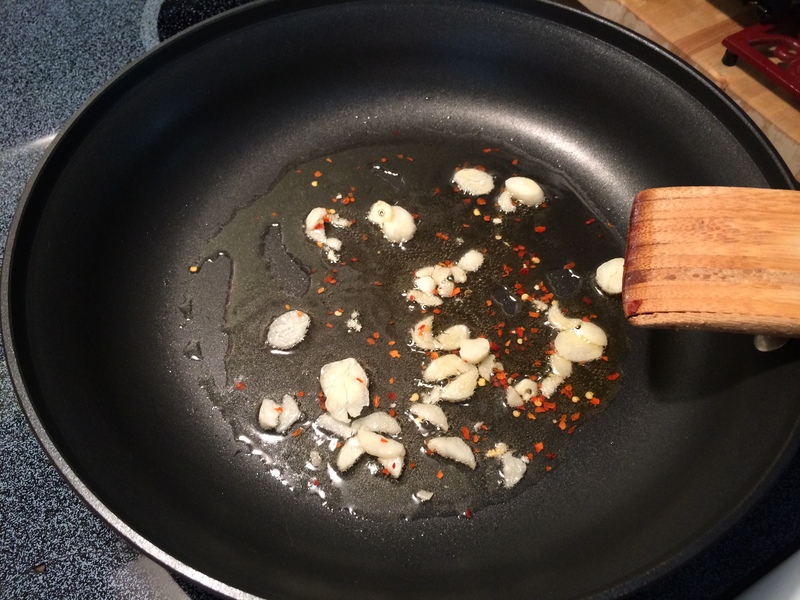 After a minute or two you will be able to smell that wonderful garlic. While this is working I start shredding the chicken off the bone. On the stove I have the mini cheese filled ravioli cooking away in salted boiling water. You know when they are just about done because the all float up to the top, around 8 minutes or so. Don’t forget to save some of that starchy pasta cooking liquid. 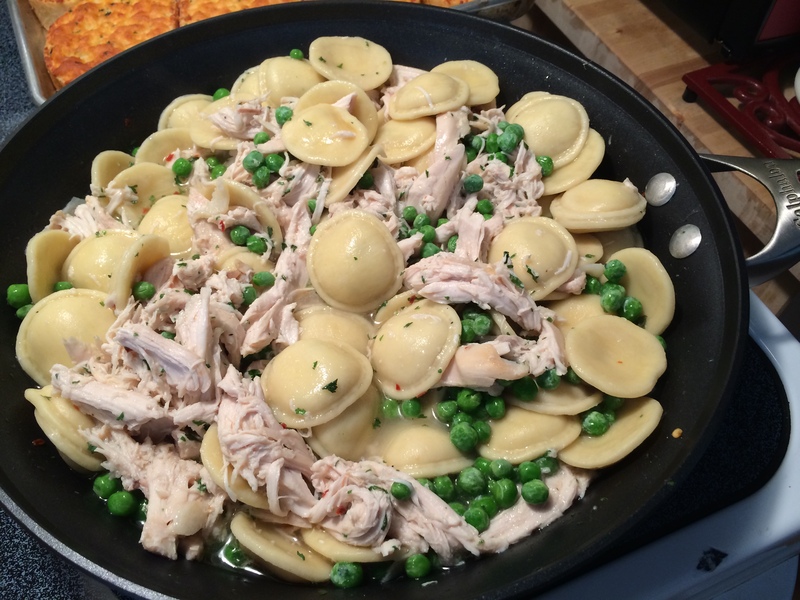 Before adding the ravioli I add 1/4 cup of low sodium chicken broth to the pan, because pasta absorbs a lot of liquid fast. 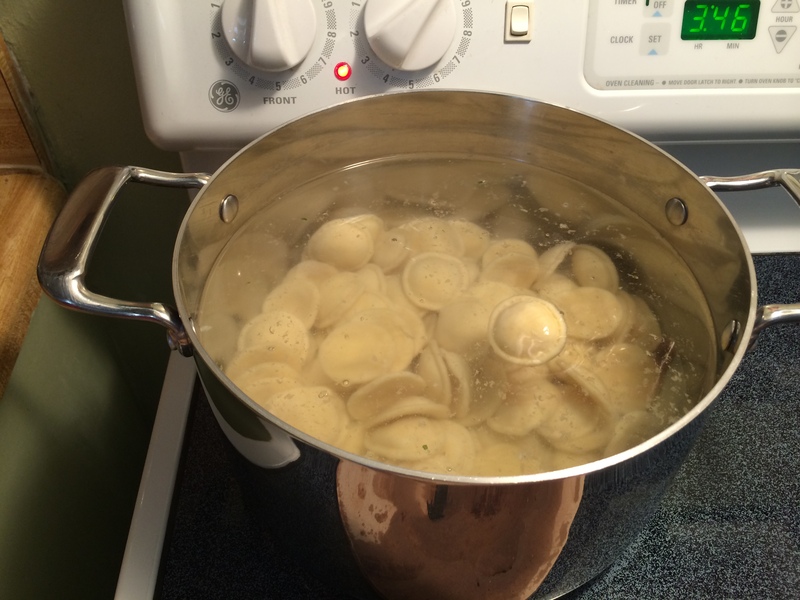 When the ravioli start floating to the top, use a slotted spoon to remove them. If your unsure if the ravioli is cooked, pull one out and taste it, you’ll know then if they are ready or if they need a minute more. 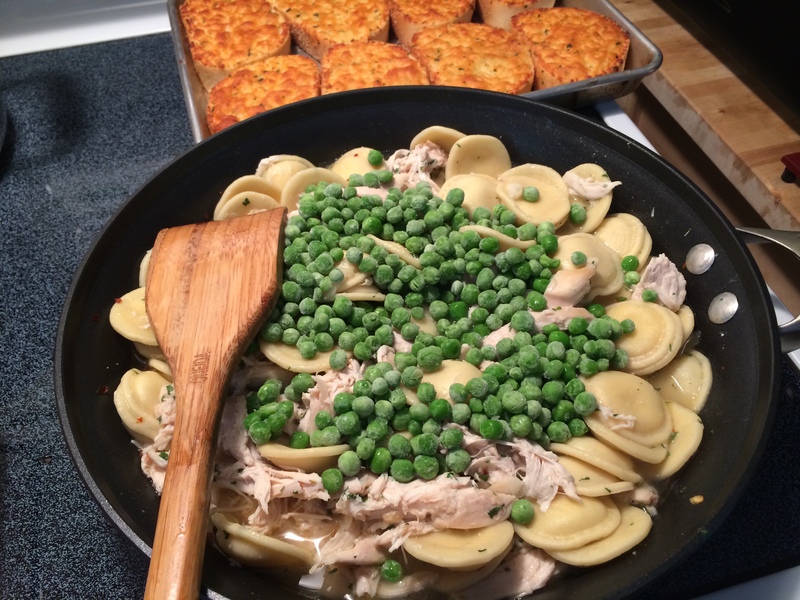 This is the time that I add in the chicken and 1 1/2 cups of thawed frozen peas. They will warm through as the dish finishes. Toss this all together. Let this go for another 5 minutes or so. 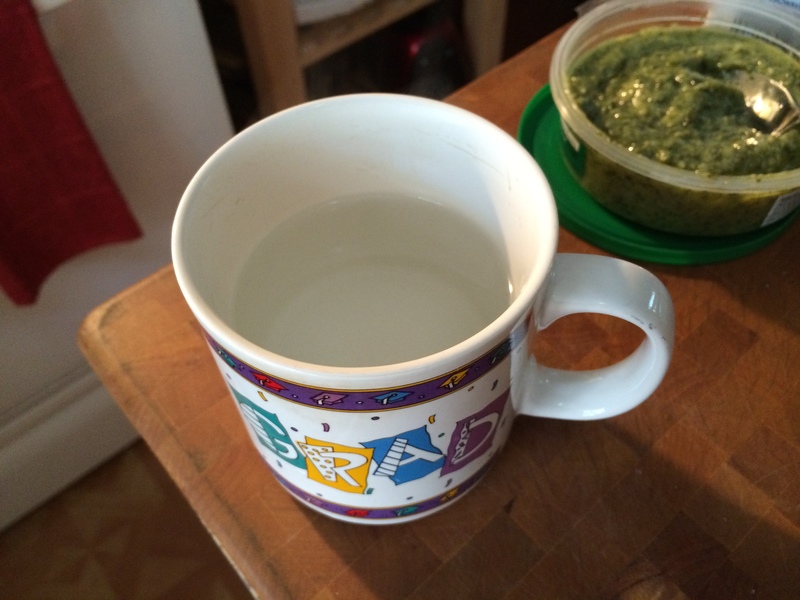 The peas may release a bit of water and you want that to reduce for a minute. 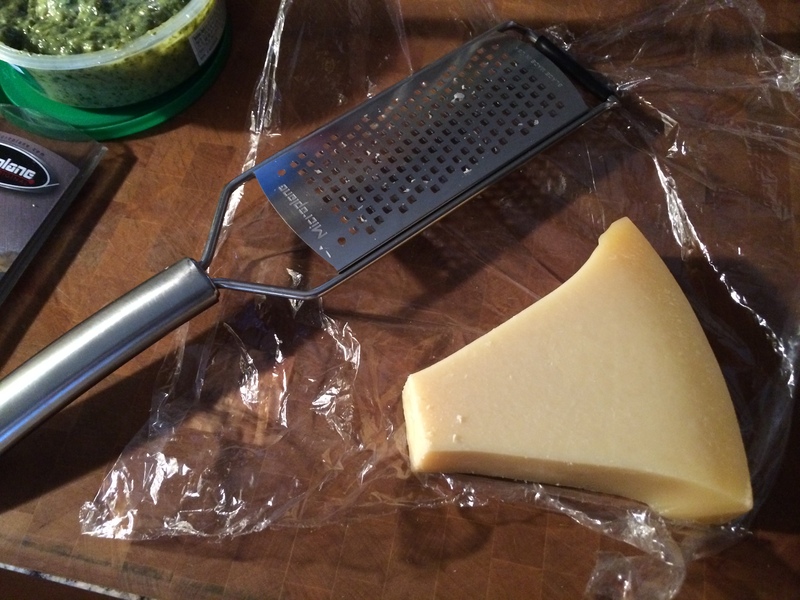 Now you want to take it off the heat and stir in the room temperature pesto and the grated Parmesan cheese. Remember the cup of pasta cooking liquid, well if you need to loosen the sauce up because the pasta absorbed more of liquid then expected, just add a couple of ladles into the pan and everything will be perfect.